You don’t need to wait until the 1st January to create a new habit. Get a head start right now. The majority of people tend to take the wrong approach when trying to build new, positive habits. They try to do too much too soon and find out they lack the stamina and drive to follow through. If you can embed your habit, making it a daily routine so you don’t have to think about it, you may be surprised how easy it actually is. For example, if you want to start running in the morning, put your trainers and running gear next to your bed. This will be the first thing you do when you wake up – get ready to go for a run. You’ll be out the door in no time! 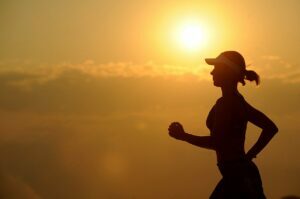 By ‘embedding’ the process of getting your running gear on, then the habit of going for a run is much more achievable. It’s much harder to make a habit stick if you go it alone. Having a partner, friend or life coach is one of the best hacks to do just this. If you have a running partner, you will be letting them down if you don’t turn up. If you report back to your coach explaining what you have achieved, you will end up feeling bad if you have skipped a few days. Having somebody that you are accountable to helps, and so does the positive reinforcement that they will provide! Try not to bite off more than you can chew. Being ambitious about your goals is great, but this increases the chance of breaking the habit. It’s much better to do less consistently than it is to do a lot sporadically. If you want to improve your upper body strength, start with one press up a day. Don’t laugh – it’s a great start. Many can’t even manage one! For more information on how a life coach can help with making good habits stick, visit our personal development page.